Grew Up… in Okinawa, the chain of islands between Japan and China. Mr. Miyagi learned karate from his father, a fisherman. He immigrated to the United States, enrolled in UC-Santa Barbara, and joined the army to fight in World War II, eventually earning the Congressional Medal of Honor for his bravery. Living… in Reseda, California. Mr. Miyagi spends much of his free time in his small complex, complete with wooden wind chimes, bonsai trees, and a backyard garden. Sometimes, he’ll sit and try and catch a fly with chopsticks. “If man can catch fly with chopsticks, he can accomplish anything,” he explains. Profession… maintenance man at South Seas Apartment Complex. He is also a karate master, but that is not very lucrative. Interests… fishing and taking care of his bonsai trees. Relationship Status… widower. Mr. Miyagi first met his wife in Hawaii. She was sent to the Manzanar internment camp around the same time he joined the army. She and their son died there due to birth complications. Mr. Miyagi never remarried, and still celebrates their anniversary, sometimes with a big helping of liquor. 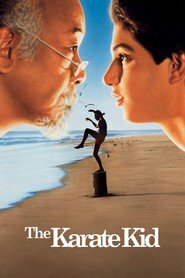 Challenge… mentoring a young man named Daniel LaRusso, who approached Mr. Miyagi about getting karate lessons. He wants to defend himself against some bullies at his school and ultimately defeat them in the All-Valley Karate Championship. Mr. Miyagi agrees and sets him to work waxing his antique cars, sanding his wooden deck, and painting his fence (both sides) and his house. Daniel questions the usefulness of these tasks, but soon learns that Mr. Miyagi was teaching him defensive karate maneuvers via the muscle memory conscripted in the specific hand motions of each task. Their training continues; through his unorthodox Mr. Miyagi teaches Daniel that karate isn’t about fighting. “Train so you don’t have to fight,” he tells Daniel. Kesuke Miyagi's popularity ranking on CharacTour is #1226 out of 5,000+ characters. See our top-ranked characters and read their profiles. During a commemoration for Japanese soldiers fighting in the US Army during World War II, Mr. Miyagi meets the widow of his commanding officer. He gets to know her granddaughter Julie, an angry teenager who is still feeling the pain of losing both her parents in an accident and is having problems with her grandmother and her fellow pupils. 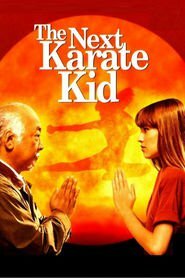 Mr. Miyagi decides to teach her karate to get her through her pain and issues and back on the right path.